I wrote this article because other people said Reiki was bad/dark. I hope to prove them wrong. Recently, I read a Facebook post from a healing colleague about the hidden dangers of Reiki. I was surprised by the assertions which basically said that Reiki energy was from a lower vibration and that it harmed, rather than healed, people. While this point of view didn’t resonate with me, it piqued my curiosity. I wondered what would cause a holistic practitioner to suddenly turn on Reiki, especially given that Reiki blazed the trail for so many other healing modalities. This prompted me to do a little digging online, and to also meditate on the question. My online research lead me to several articles about the supposed dangers of Reiki. There are other concerns, but you get the idea. I have several ideas as to why some practitioners are turning away from Reiki. Many of the articles were written from a religious perspective. Even though Reiki is spiritual rather than denominational, religious authors had several major issues with the healing practice, and found it to be contrary to their faith. Guidance: If this applies to you, then you must follow the path of your heart. If that is your religious faith, then more power to you! Several people wrote about experiencing upsetting, and sometimes even frightening, post-healing episodes. What they described sounded like aspects of the Dark Night of the Soul, during which a person releases old trauma and past life karma. Releasing so much pain and suffering can be overwhelming at times, and it can feel as though the darkness is attacking, rather than leaving, you. Guidance: Keeping those lower emotions inside negatively impacts your health and energy level. It is far better to release them rather than to store them. That being said, if you feel overwhelmed by negative emotions bubbling to the surface, I advise combining energy healing with professional counseling. Cognitive therapy slows the process to a more manageable level; helps to make sense of your emotions, and gives you coping techniques. People in need of healing, or who are going through the healing process, often attract lower vibrational beings. These service-to-self entities may be non-corporeal or multidimensional in nature. Most are from 4D. Dark beings are (voluntarily) cut off from Source, and so they steal energy (called ‘loosh’) from light beings in order to survive. They feed off this loosh, getting the greatest surge from our lower emotions (i.e. fear and hostility). Reiki helps to boost your spiritual gifts so, rather than implanting you with entities, Reiki treatments may elevate your awareness of them. Guidance: The best way to rid yourself of dark entities is to raise your vibration. If you move your energy to a higher planes of consciousness, you disappear from their awareness, in the same way that oil separates from water. To do so, you need to heal your fear so that you can embody more Love. Energy healing can be very helpful in this process. Many people who receive Reiki treatments love it so much that they choose to become practitioners themselves. Reiki helps them to feel so good that some people launch into their new healing career before they’ve finished their personal healing. Then, as they focus on healing others, their own unresolved issues begin to surface. The flow of healing energy may be partially diverted to the practitioner, thus decreasing the amount going to the recipient. The wounded practitioner may also be purging toxic emotional energy which in turn may be attracting dark entities. Guidance: When looking for a healing practitioner, set the intention to find someone who is pure-of-intent, heart-centered, healthy and a channel for divine Love. As for healing practitioners, your desire to serve and help others is admirable, but self-care must be your primary focus. Love yourself first; get the healing help you need, then go out and love the world. For many years, Reiki served as an entry point to spiritual development. It was a wonderful introduction to the energetic world. But now, with the ascension in full gear, some people are rejecting Reiki because it feels like it is from a lower vibration. That’s because their personal vibration has increased. Guidance: Just like us, Reiki is evolving. It has the capacity to address the ascending body’s needs as well as any newer modality. The key, again, is the channel through whom Reiki energy flows, for s/he colours the energy with his or her own vibration and consciousness. Look for a high vibrational, heart-centered practitioner. And practitioners, do what you can to maintain a loving, peaceful, high-vibration. In some cases, there may be darkworkers (self-serving people) posing as lightworkers. If a person has mal-intent and they perform Reiki, then it is possible to steal energy and send negative vibes. But, the same could be said for anything in this life. It’s all about intention. Guidance: Once again, it’s not about the modality; it’s the healer who is important. If the healer is a crystal-clear channel for Love, then darkness can’t hijack the healing process. We create our own reality; or, more accurately, we choose our reality from an endless list of options that already exist. Every possibility you could ever imagine is playing out in at least one parallel timeline. We align with the timelines that most closely match our vibration. That means, in some timelines, these Reiki fears are real and everything listed above is true. In others, the debate never occurred; in others still, Reiki doesn’t even exist. 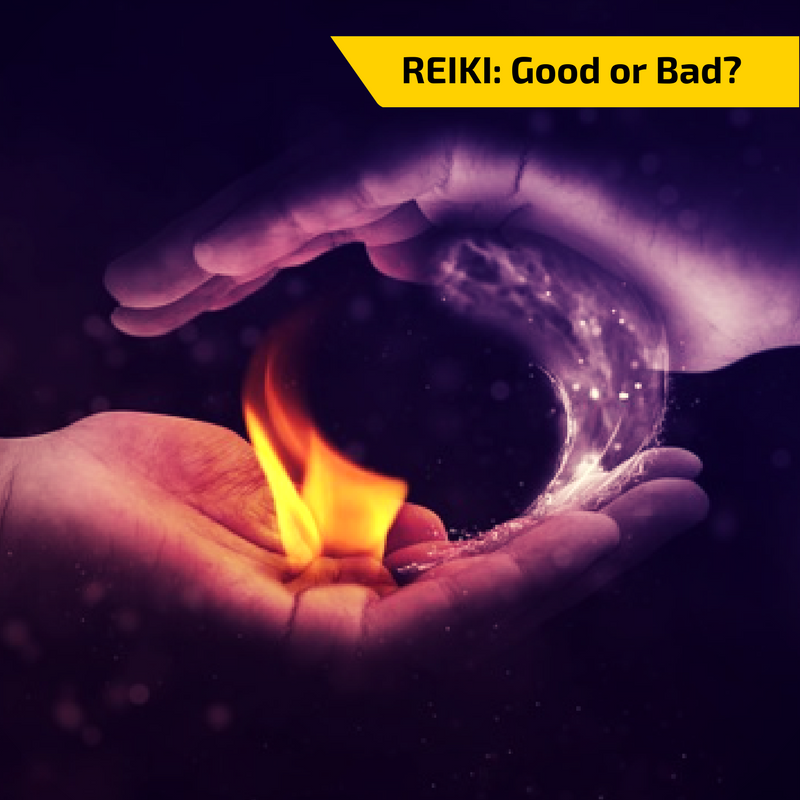 Guidance: I don’t resonate with the warnings regarding Reiki, and, since what I believe determines what I receive, then Reiki is perfectly safe for me. Ask yourself what you believe, and be sure to listen to your fears as well as your higher mind. Whatever you feel and believe the strongest, you will experience as your reality. Honour your truth.